Can this unit be installed inverted for use on wall that slope inwards? BEST ANSWER: Yes. As long as the tv is not too large , it will level vertically. A larger tv may require putting a few flat washers in between bracket and wall at the top to give a little extra tilt. 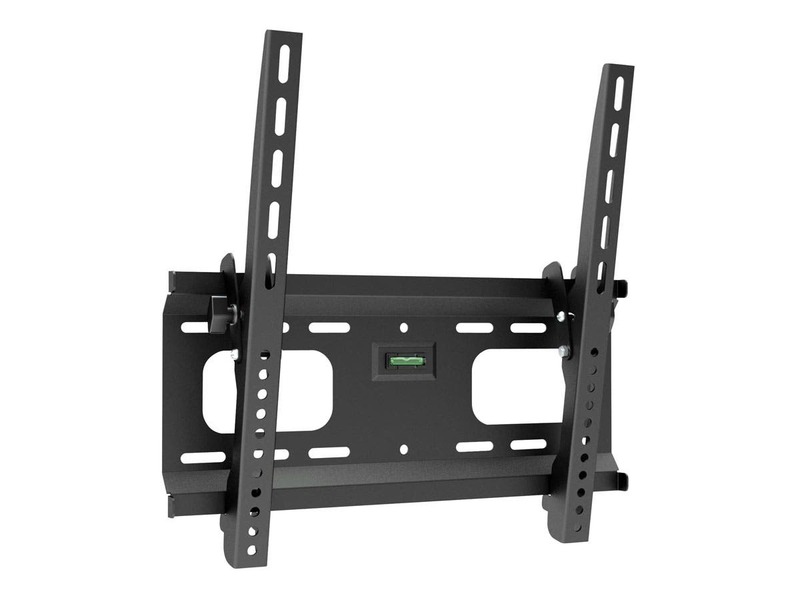 I would only use it on a slight tilt and you will have to hold the tv portion of the mount against the frame as you tighten the security screws. 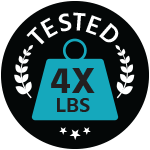 Not too much weight and not too much tilt and you should be fine. Yes but the tv will run parallel with the tilt of the wall. Be sure to tighten the security screws for safety. Just install the TV side upside-down. Should work perfectly fine. How wide is the wall mount? 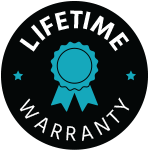 BEST ANSWER: The bracket that attaches to the wall is 17.7-inches as shown in the downloadable Dimension Diagram at the bottom of the product description page. Hello, I think its about 20” wide. Just over the 16” stud area for wall mounting. 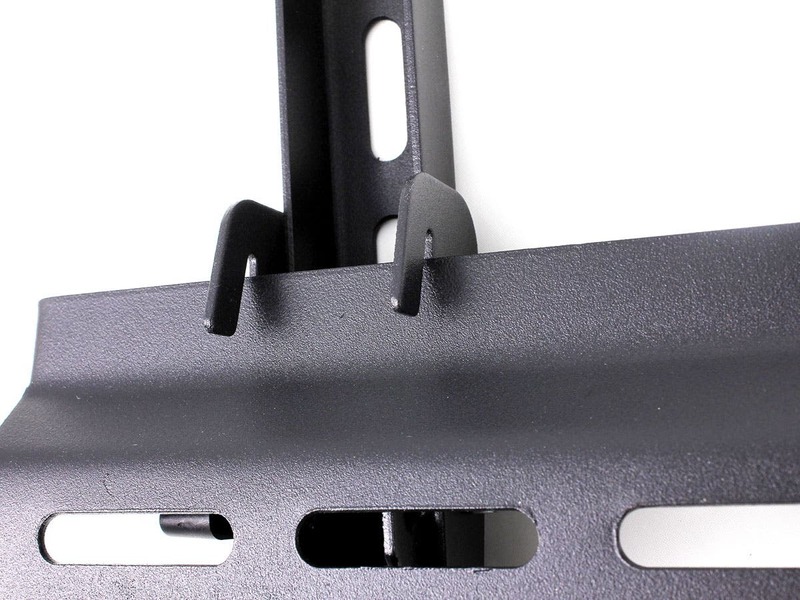 Also, when I’ve installed these some 32” TV’s have the mounting screws in weird places on he back and I find that the brackets that mount of the tv are longer then the tv height. So I have to take my sawzaw to cut them down otherwise you will see them when the tv is mounted to the wall. Hope this helps. I already have existing holes for a mount. What is the vertical spacing on this mount? How wide is this unit? What is the standard pallet quantity for this item? Monoprice can't tell me. 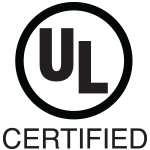 I have many of the Monoprice mount in use at our facility. I'm please with my purchases. Great fit perfect on my tv. I was looking for a wall mount for my game room, but I didn’t need all of the articulation offered by some of the more complex mounting brackets. 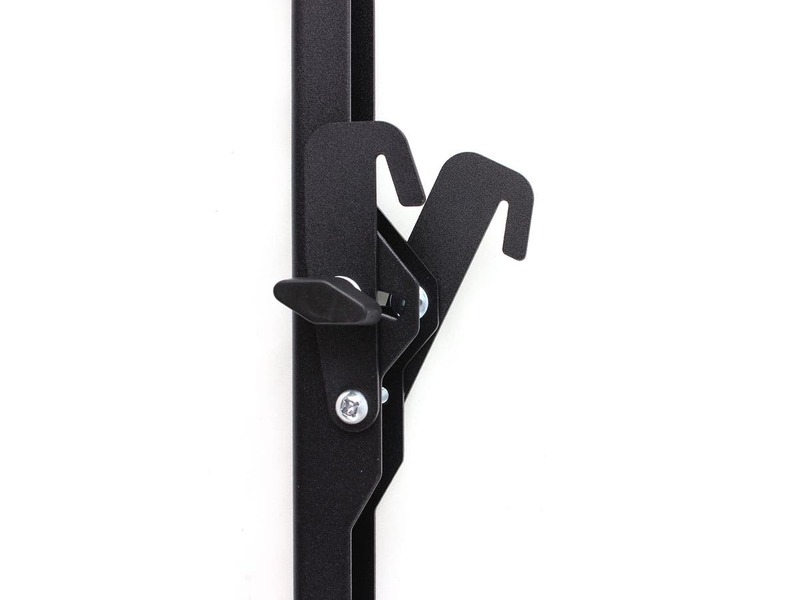 This mount is incredibly easy to install; the bubble level on the wall bracket takes care of getting everything lined up straight. 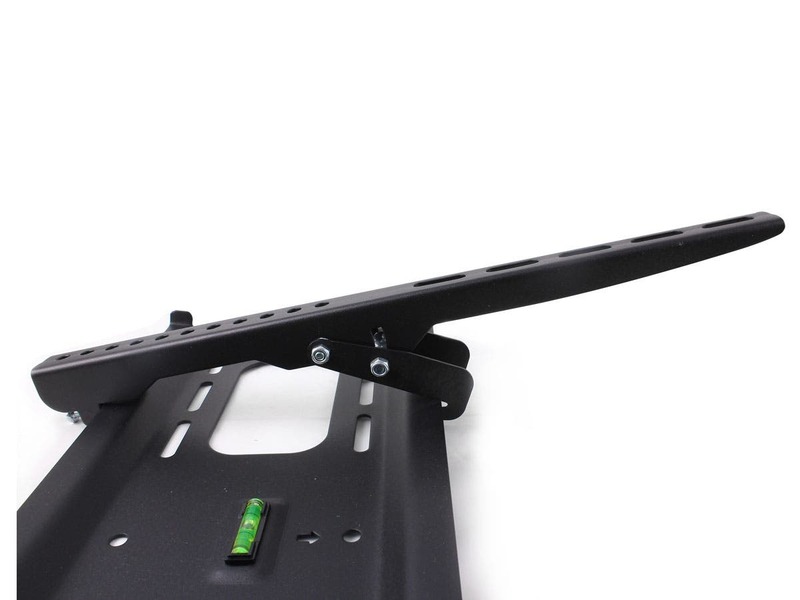 The mounting bracket on the TV is solid and allows for several degrees of downward tilt to get rid of any glare on the screen. For the money,heck, for twice the money, you can’t beat this mount! Usually solid product but some issues this time. I have used many of these type of mounts from Monoprice. Usually so good. Two issues with this one is with a 32 in min. size, the mount needs to come with some smaller (#6) screws for the back of the TV. All the ones which came with the mount were too large and I had to by them separately. Also the level was a little off. Compared with other vendor offerings, this is a steal. Works well with my Samsung 40 inch. Nothing cheap here. 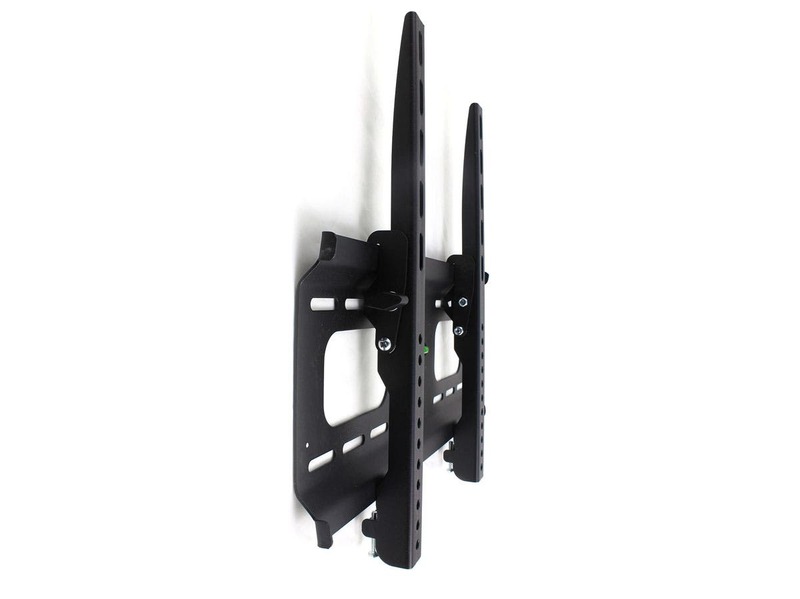 This wall mount is a great value, and easy to install. My only comment is that it would be great to have screw adjusters on the top of each bracket to fine tune leveling. Built in level isn't accurate, easily worked around with a separate level.